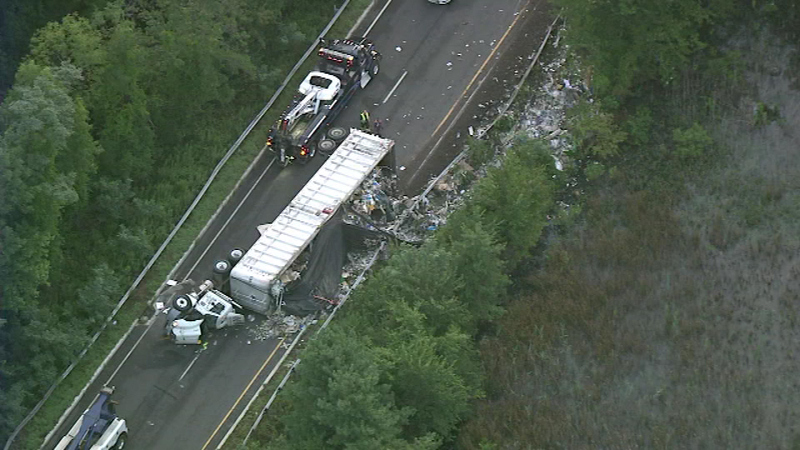 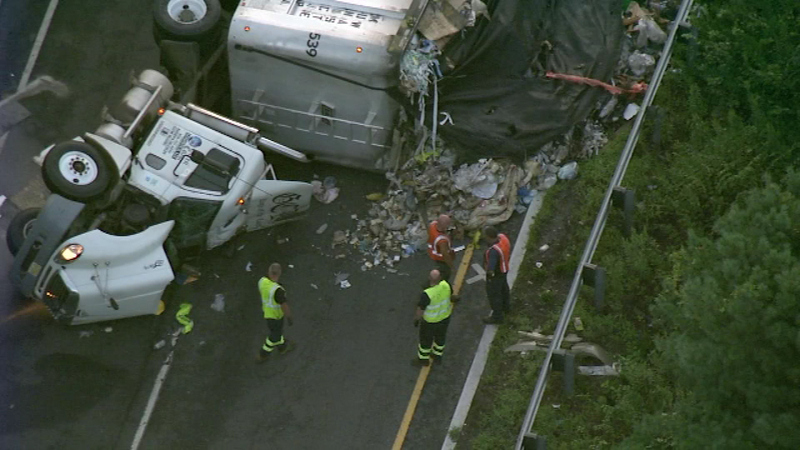 Garbage truck overturns on Route 1 SB ramp to I-95 in Mercer Co.
LAWRENCE TWP., N.J. (WPVI) -- A driver was injured after a garbage truck flipped over in Lawrence Township, New Jersey. 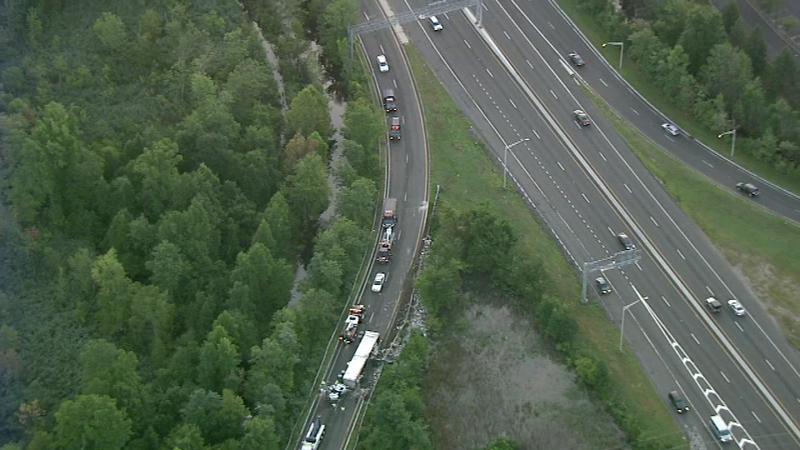 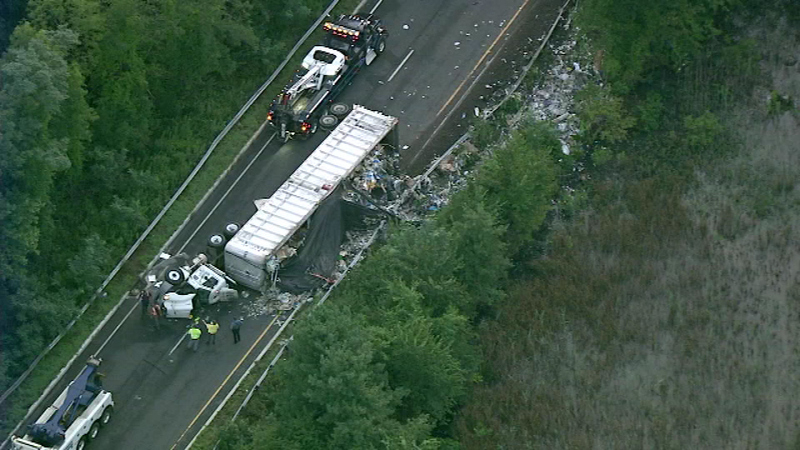 The crash happened before 5 a.m. Tuesday on the ramp from Route 1 South to Interstate 95 South. 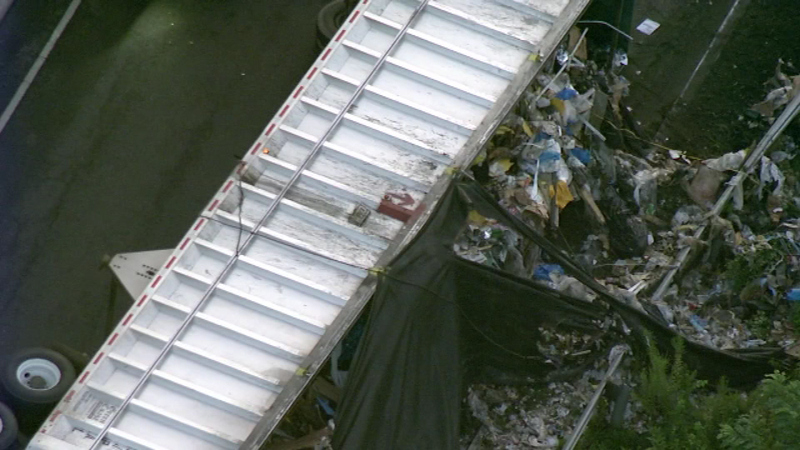 A garbage truck crashed and overturned Tuesday in Lawrence Twp., Mercer County. 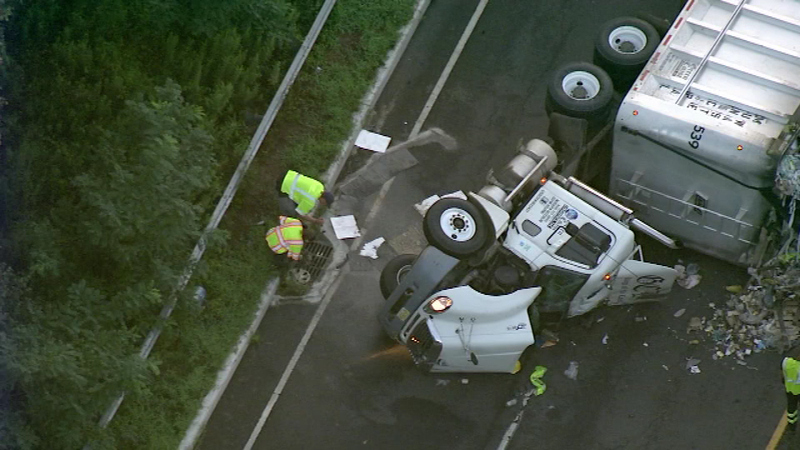 Police say the driver lost control and the truck landed on its side. 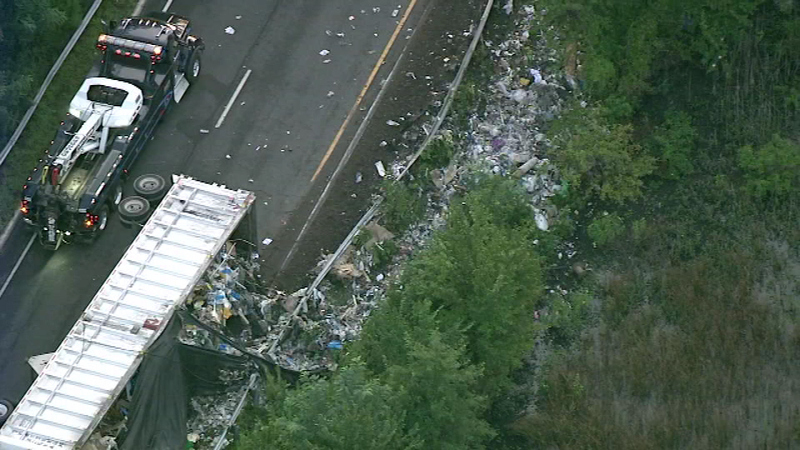 The impact caused the truck to leak some fuel. 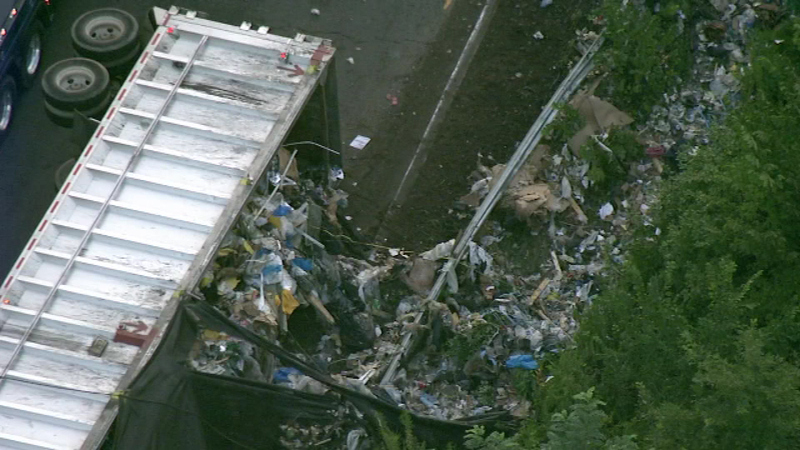 The driver was taken to an area hospital with minor injuries. 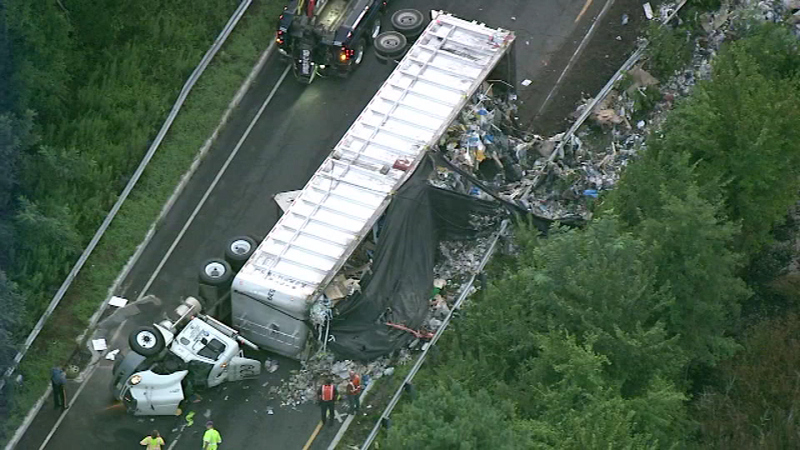 A driver was injured after a garbage truck flipped over in Lawrence Township, New Jersey. 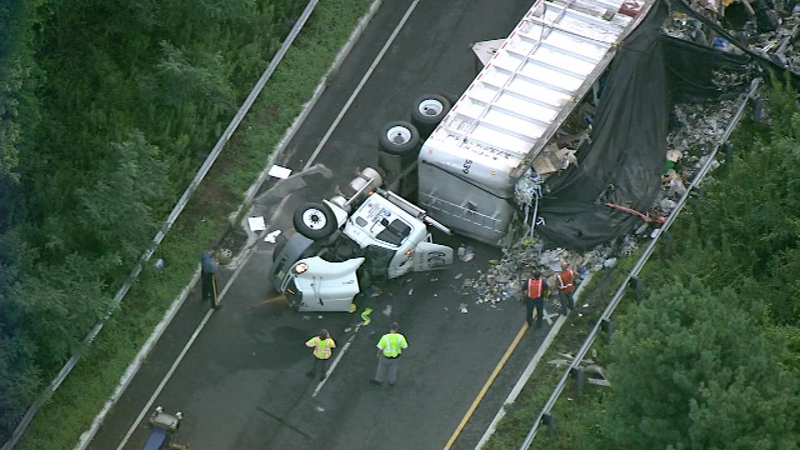 The ramp was closed for hours, finally reopening around 1:30 p.m.